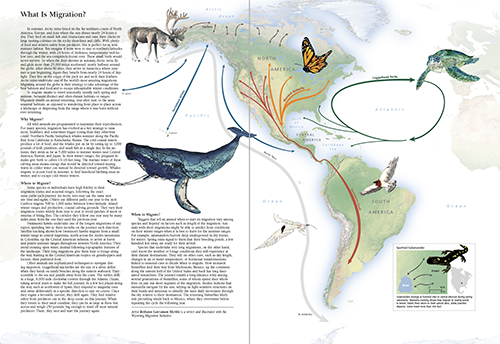 "Embedded in the wildlife are their migrations, more complex and variable, more deeply inserted into their lives, than most of us ever realized." 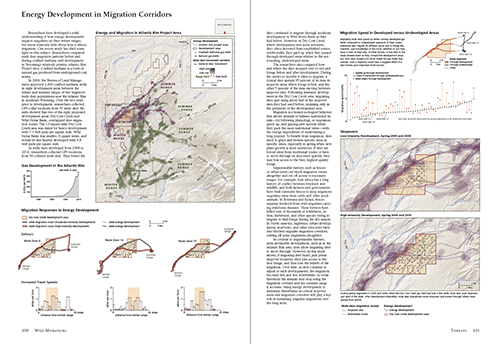 Wild Migrations is now available in bookstores and online! 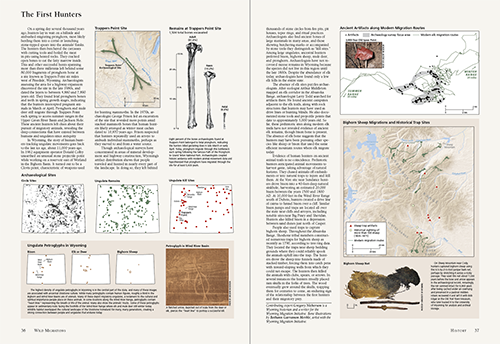 Read on for details about how to get your copies, what's in the atlas, what it took to make it, and where you can find excerpts. We were fortunate that novelist Annie Proulx, a long-time observer of Wyoming's landscapes, agreed to write the foreword to the book. 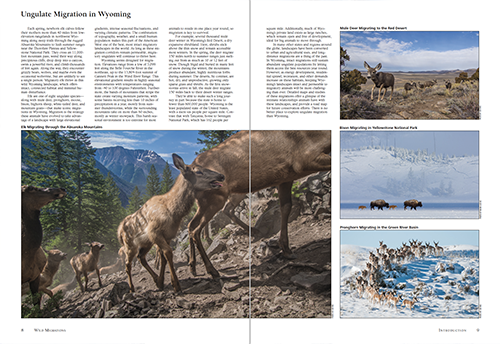 She invites atlas readers to see Wyoming through the eyes of ungulates, and we're humbled by her glowing assessment of Wild Migrations. 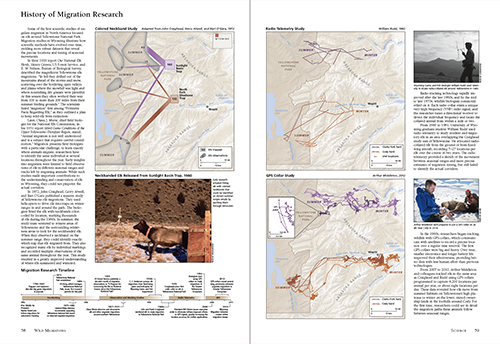 Wild Migrations was published by Oregon State University Press. It is richly-illustrated with maps, photos, and art. This beautiful, large-format book represents five years of work by our team. It shipped in October 2018. Want a peek? We're sharing atlas excerpts. Creating this book has been a collaborative journey. 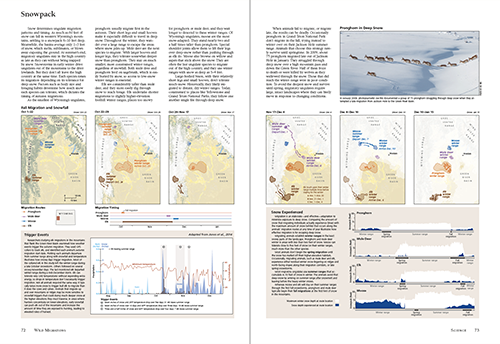 Starting in 2012, Wyoming Migration Initiative director Matt Kauffman reached out to the University of Oregon Geography Department and began developing this book. 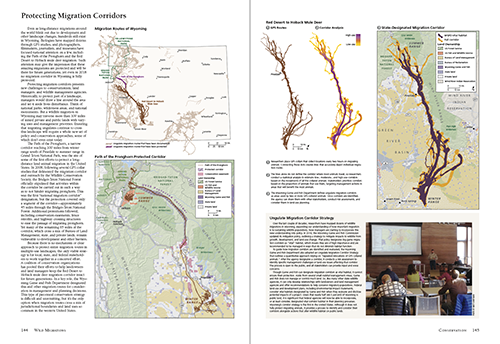 Oregon's InfoGraphics Lab cartographers Jim Meacham and Alethea Steingisser and their team are national leaders in their field, known for producing the landmark Atlas of Yellowstone. Order your copy today by clicking this link. 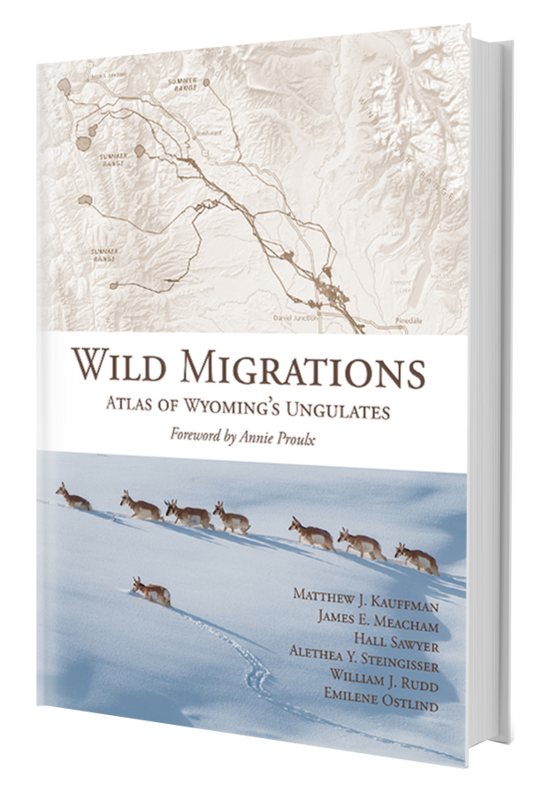 HELP US PUT A COPY OF WILD MIGRATIONS IN YOUR FAVORITE WYOMING SCHOOL OR PUBLIC LIBRARY!